A lot of people in the past have accused me of covering sports events sat on a bar stool, watching all the action on the pub tele in the Cardiff Arms. Well to prove them all wrong I decided instead to cover this year’s Six Nations final weekend from the Three Arches. It’s got nothing to do with the fact that the Cardiff Arms has now been turned into a block of flats – honestly nobody tells me anything. I used to pitch or pop my sports news stories directly through the door at the Echo years but I am dammed if I can find the building these days what with all the rigmarole going on in the centre of Cardiff. 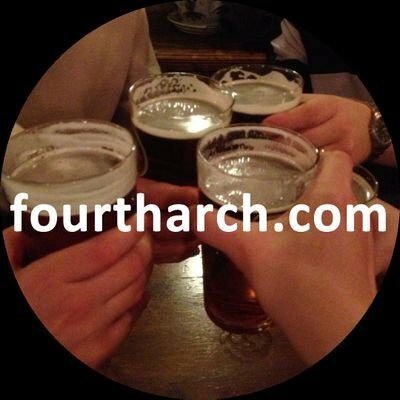 I was over the moon to be asked by the blokes at the Fourtharch to pitch some beer related sports- stories even though one of them is a professional sports journalist – still it’s a bit of work for me like, innit? The 2018 Six Nations final weekend was the perfect storm for the Irish boys, having already won the championship they were set to seal the Grand Slam up against a floundering England team. With all this occurring on St Patrick’s Day it definitely called out for a pint of Guinness, the Emerald Isle’s greatest export outside of Dana. Now I knows my eyesight isn’t what it used to be but as I took a dekko along what could still be the longest bar in Cardiff, the closest I could see to any evidence of the black stuff was the landlord who is the spitting image of Paddy McGuinness! 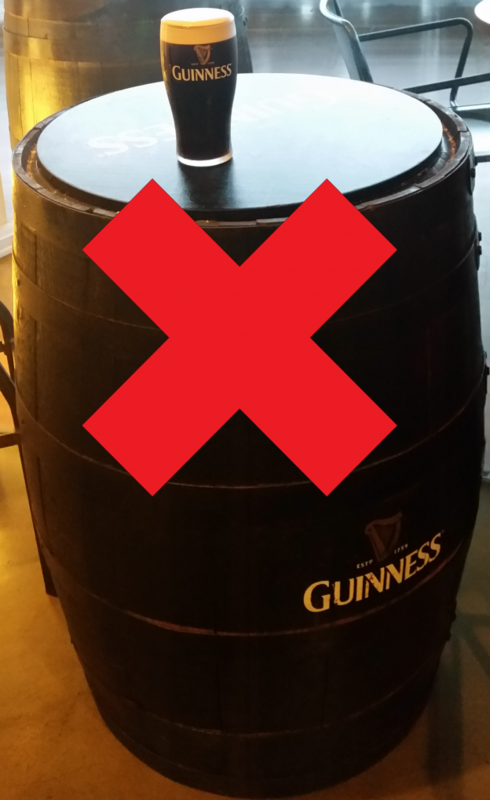 He tells me that Guinness is now no longer sold in any Brains pubs at all, I don’t know about you, but not having Guinness in a pub on St Patricks Day and for the Six Nations final weekend is like holding a Peter’s Pies convention without Peter or his …………well, you knows what I means. It’s not all bad news though cause the ex-missus will only drink Guinness in pubs, that means there’s no fear of her turning up in the Arches. The mother- in-law was the same if Mackeson was not on offer in the Moorlands, comes to think of it most of the women I knew only ever drank the black gold. Continue down this road Mr Brains and we could be returning to men-only bars – hold that thought as my grandson Farquhar always says. Back to the sport now and I noticed before even a ball was kicked the England team couch Edward Jones was caught on film calling Wales a “Sh&t Country” something that is normally referred straight away to the race relations board but it’s always open season for us Welsh so we tends to answer back with our actions as the Welsh boys did in the final game of the tournament purposely winning by only one point handing France a bonus that sent England into second from bottom and in effect giving them the wooden spoon – not such a sh&t country Mr Jones but certainly a sh&t placing. The Italian boys have really got something to play for next year with a possible 5th position in the table and well done to them for putting on a great performance up against a strong Scotland team. Years ago I could have covered that game from my favourite Italian Café up in Brynmawr, win or lose old man Guarno would have loved seeing his Italian boys make up the six nations – god rest his soul. I stayed in the middle bar for a few pints for the England/Ireland game and if ever you hear Welsh supporters joyfully cheering when Wales are not playing you can be assured that it’s because England is losing, so it’s congratulations to the Irish boys for providing us with an entertaining well-deserved grand slam tournament and as me old Mucker Dickie Davies used to say “They will be knocking back the Guinness in Dublin tonight” – not in Brains’ pubs they won’t. This entry was posted in Uncategorized on April 15, 2018 by fourtharch.